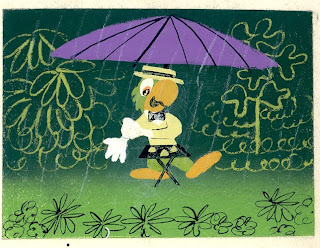 Kiwi's Angels: Walt Disney: Aquarela do Brasil From "Saludos Amigos"
Walt Disney: Aquarela do Brasil From "Saludos Amigos"
Aquarela do Brasil From "Saludos Amigos"
Synopsis: Aquarela do Brasil (or "Watercolor of Brazil"), the finale of the film, involves a brand-new character, José Carioca, showing Donald Duck around South America and introducing him to the samba (to the tunes of "Brazil" and "Tico-Tico no Fubá"). 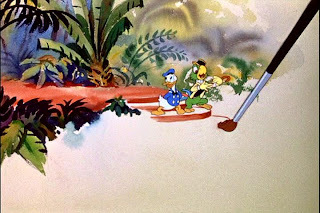 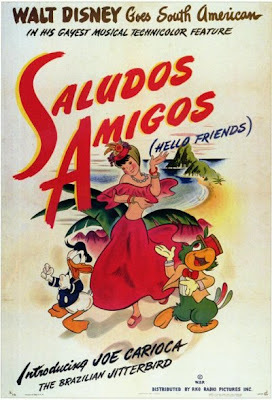 Wikipedia Saludos Amigos This film features four different segments, each of which beginning with various clips of the Disney artists roaming the country drawing cartoons of some of the local cultures and scenery. 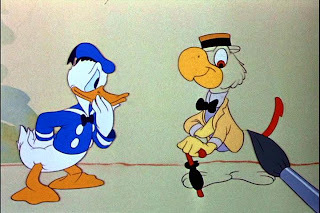 Wikipedia Josè Carioca José "Zé" Carioca is a Disney cartoon character created in 1942 drawn as an anthropomorphized parrot from Rio de Janeiro, Brazil (thus "Carioca", a term which refers to a person born there). 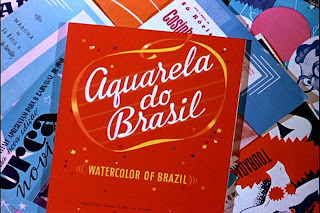 Wikipedia Aquarela do Brasil Song Song written by Ary Barroso in 1939.